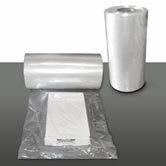 Advanced Document Systems Supply offers professional grade plastic film rolls for all your shrink wrap needs. 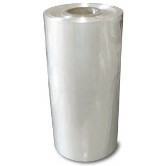 Our plastic film comes in a variety of widths, thicknesses, and materials. Our PVC Shrink wrap film is centerfold film on roll, shrinks 45% in both directions, and high quality grade. If you need heat shrink PVC plastic shrink wrap film, then look no further. We also carry an assortment of heat guns, plastic shrink wrap film machines, and bag sealers.